Nebraska Sandhills. Fort Niobrara National Wildlife Refuge. 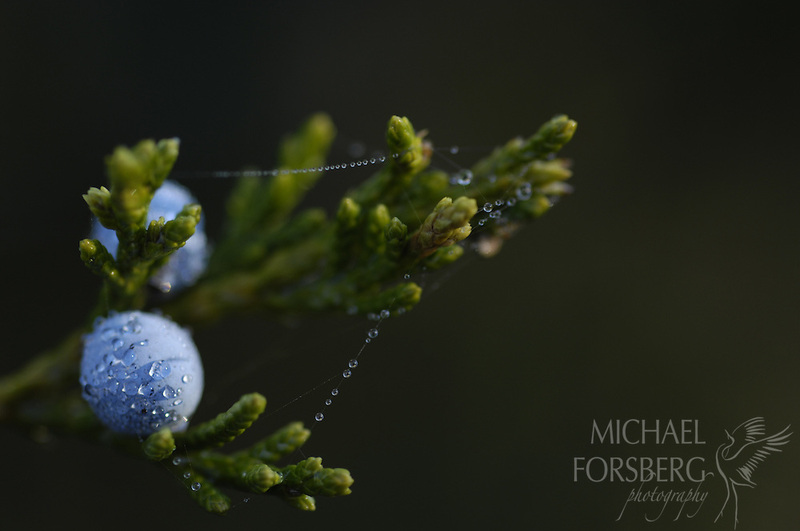 Niobrara Scenic Riverway...Red cedar berries with morning dew. ..Red cedar both a blessing and curse. The berries are prized by birds, but to many cedars without fire and grazing can outcompete and choke out grassland. The same birds that eat the berries, often spread the seeds in their whitewash. ..Only the female trees of the cedar bear fruit.